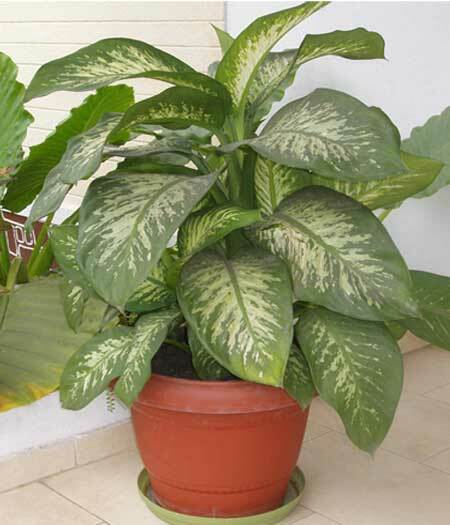 This plant that we have in our homes and offices is extremely dangerous! I almost lost my daughter who put a piece of the leaf of this plant in her mouth and her tongue swelled to the point of suffocation. This is one plant but there are others with the same characteristics of coloring. Those are also poisonous and we should get rid of them. Please watch out for our children. As we all leave our children home in the hands of the helpers, we should give them a safe environment where they can play. This plant is common in Kenya, Rwanda, and Uganda in plant nurseries, many offices and homes. It is a deadly poison, mainly for the children. It can kill a kid in less than a minute and an adult in 15 minutes. It should be uprooted from gardens and taken out of offices. If touched, one should never touch ones eyes; it can cause partial or permanent blindness. Also known as lady laurel or paradise plant, Daphne is a 1-1.5 meters tall shrub, usually grown for its scented flowers. All parts of the plant are poisonous, but the greatest concentrations are in the sap and berries. Daphne contains mezerine and daphnin, two powerful toxins that cause stomach aches, headaches, diarrhea, delirium and convulsions. If Daphne berries are consumed, the victim might fall into a coma and even die. Just like the Daphne, Lily of the Valley may look beautiful and harmless, but it is entirely poisonous. Eating one or two of the plants bell-shaped flowers wont hurt you very much, especially if youre an adult. Eaten in large quantities, Lily of the Valley causes pain in the mouth, nausea, vomiting, cramps and diarrhea. People with heart conditions should be most careful since the toxins cause the heartbeats to slow down or become irregular. Known as one of the most poisonous plants in the Western hemisphere, Belladonna contains potentially lethal tropane alkaloids. The entire plant is harmful, but its good-looking berries pose the most danger, especially to kids. The symptoms of Belladona, or Deadly Nightshade poisoning are dilated pupils, blurred vision, headaches, hallucinations, delirium and convulsions. Atropine, the toxin contained by Belladona, can kill a person by disrupting the nervous systems ability to regulate breathing, sweating and heart rate. Despite its name, theres something very evil about this plant. The toxins it contains can be fatal to humans and a number of animals. Known as a powerful hallucinogen, Angels Trumpet should not be used for recreational purposes, since the risk of an overdose is very high. Angels Trumpet plants contain a variable amount of tropane alkaloids, like atropine and scopolamine, and it is used in shamanic rituals by indigenous tribes in western Amazonia. This popular evergreen shrub, featuring large, beautiful blooms, has been known for its toxicity since ancient times. Xenophon recorded the odd behavior of a group of Greek soldiers who had eaten honey from rhododendron flowers. Rhododendron contains andromedatoxin which causes nausea, severe pains, paralysis and even death. Azaleas, members of the same plant-family as rhododendron, are also poisonous. Oleander is known as one of the most poisonous plants on Earth, often used in suicidal cases around southern India. The numerous toxic compounds contained in the entire Oleander plant, including oleandrin and neriine, affect the nervous, digestive and cardiovascular systems, all at the same time. Oleander poisoning leads to drowsiness, tremors, seizures, coma and even death. The plants sap causes skin irritation and severe eye inflammation. One of the most endangered plants in the world, Autumn crocus is also probably the most poisonous. It contains colchicine, a deadly drug used effectively in the treatment for gout. Unlike other toxins found in the flowers above, colchicine, an arsenic-like poison has no antidote. Autumn crocus poisoning leads to reduced blood pressure and cardiac arrest.